If you only have one minute to read this post, here is the gist of it: WordPress users can get a first-class AMP experience without compromising the fidelity of their content or surrendering the flexibility of the WordPress platform. Get a glimpse of what is possible with AMP in WordPress by watching our AMP Conf 2018 talk! If you have a few extra minutes, follow me to the next paragraphs to learn more about the state of AMP in WordPress. In a nutshell, WordPress is: a Content Management System (CMS) for websites; the largest player in the CMS space with ~59% of market share, powering about ? of the web; and a thriving ecosystem of plugins, themes, hosting providers, agencies, freelancers, all working together on the creation of WordPress-powered content. But when I think about WordPress I think about one thing: there are many users publishing and consuming content via WordPress-powered sites, and all of them should get an awesome UX on the platform. And since AMP is all about enabling an awesome (fast) User eXperience to all users, in this post we discuss two things: (1) the case for AMP in WordPress; and (2) the state of the art of AMP in the WordPress Ecosystem. Curious? Read on! 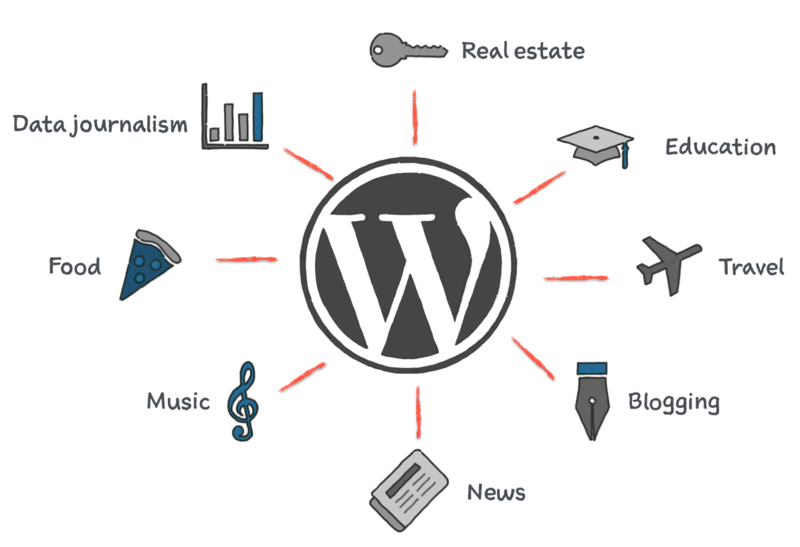 One of WordPress major virtues is the flexibility of the platform. You can accomplish basically anything you can imagine, as demonstrated by the large and ever expanding ecosystem of plugins available to add functionality and customize your website in a myriad of ways. However, this same virtue can also turn into one of the major challenges of the platform. Even taking into account plugins that are very good (i.e. follow coding/performance best practices and coexist nicely with other site components), the likelihood of having plugins colliding in their interactions (or impacting performance) when jointly activated in a site, is definitely not negligible. This virtue/challenge duality of the WordPress ecosystem has its parallel in the open-web web publishing ecosystem. In the latter, there is nothing restricting a web developer to hamper the performance of a site by following counterproductive coding practices (e.g. loading scripts synchronously, render-blocking CSS). And even if the developer builds a site impeccably, adding a third-party JS library could spell a performance disaster. AMP emerged as a response to that reality, bringing forward effective design principles and control mechanisms that enable sites to offer predictable performance. The effectiveness of AMP and its impact on UX is demonstrated by plenty of data and examples in the wild. And WordPress publishers would also benefit greatly from having more control of the UX of their sites. This could be achieved by adopting coding and performance best practices in WordPress development, and integrating AMP with the WordPress ecosystem to make the WordPress platform more performant. 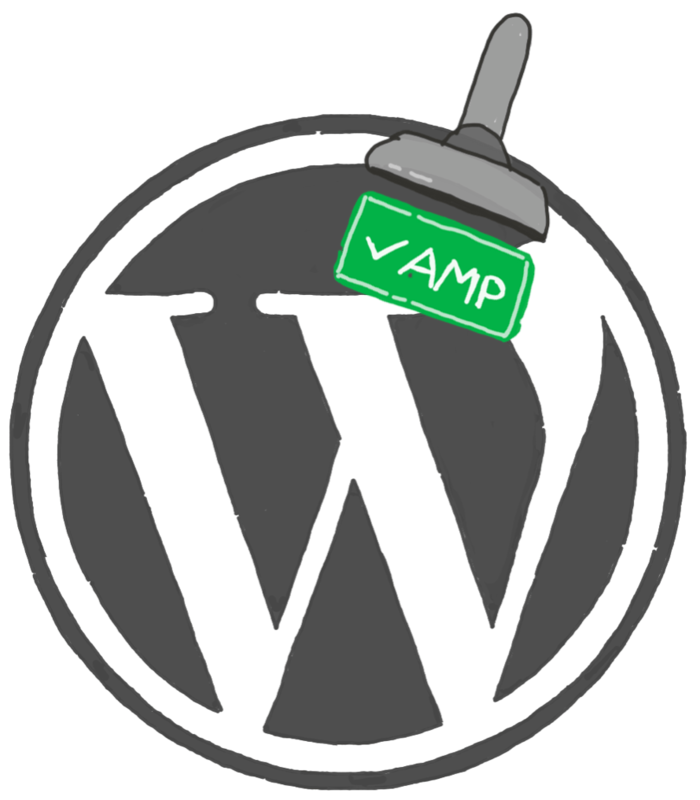 The plugin work for enabling AMP in WordPress described in this post, was pioneered by the AMP Plugin initially developed by Automattic. Subsequently Google and XWP joint the open source development effort to help evolve the plugin significantly. Want to know what is possible with AMP and WordPress nowadays? Let’s see! Developer oriented. The plugin provided a minimal set of core abstractions to enable AMP in WordPress, and allowed developers (i.e. agencies, plugin and theme makers) to modify it and extend it to tailor its capabilities to the needs of their individual sites. Pair mode. 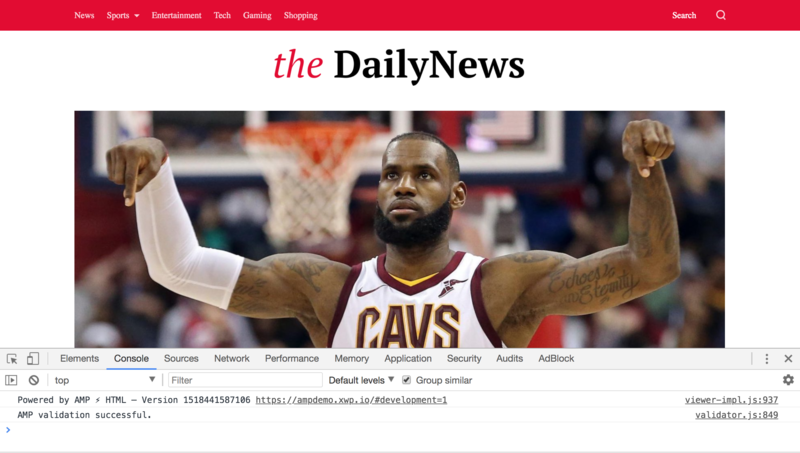 The plugin adopted a simple-theme approach bypassing the WordPress template hierarchy and generating a separate AMP version of published content based on very basic theme template parts. These characteristics worked well for sites that have good engineering support to tailor the AMP content to their needs. However, at a larger scale, the adoption of the plugin was more challenging because the baseline capabilities did not offer enough functional and visual parity between the two versions. Google and Automattic started working together last year with the goal of bringing the AMP plugin to its maximum expression, and enable a rich AMP experience for all WordPress sites. A few months after, XWP engineering team also joined the project to push for the same goals with the expanded scope of integrating modern web technologies in general into the WordPress ecosystem. And since everything is open source, the WordPress community has also been part of this work through many contributions. In the past few months versions 0.5 and 0.6 of the plugin were released, including bug fixes, expanded support for embeds, support for pages, parity with AMP library specification, better configuration capabilities, and much more. And after these, we have focused on one of our main initial goals; since the beginning we have had our sight set on enabling an organic AMP experience in WordPress; that is, an experience where there is no need for a pair mode (unless applied by choice) because there are no gaps, either functional or visually, between the AMP and non-AMP versions of content published in WordPress. Without such a gap, WordPress publishers are able to publish a single version of their content which is beautiful, feature-rich, all-around WordPress, and runs at the speed of AMP! We call this an all-AMP experience. The aforementioned pair mode approach makes sense when there are functional and visual gaps between the AMP and non-AMP versions of a given content. In such a case the pair mode keeps a “version” of the original content and an AMP’d version of it. By enhancing the AMP plugin and devising the right mechanisms for theme/plugin integration, we can eliminate these functional and visual gaps an enable WordPress sites to offer a single, all-AMP experience. Allowing three “use modes”: (1) legacy pair mode, with the pre-0.6 ad hoc post templating system; (2) new (enhanced) pair mode, integrated with the standard WordPress templating system; and (2) AMP Canonical, with a single AMPed version of the content and also integrated with standard templating system. The combination of these features and capabilities allows WordPress publishers to run a pristine WordPress site that is all-AMP! The following screenshot shows a demo of an all-AMP WordPress site; there is no pair mode, and look at the console! Continue our work on Progressive Themes aimed at defining a systematic approach to building themes that provide AMP support, follow the latest coding and performance best practices, and integrate the latest advances in the web platform. Align our efforts with the evolution of WordPress via contributions and integrations with Gutenberg, the new editing experience which is set to revolutionize content creation in WordPress. This includes supporting Gutenberg blocks, including blocks for AMP Components. For example, we’re looking to augment Gutenberg blocks with AMP-specific attributes, like the layout and media attributes, which would then inform the AMP preprocessor on how best transform an element into AMP. Advances in the web platform all aim at improving the user experience along different dimensions. AMP design premises focus on the performance of the mobile web and the associated quality of the perceived user experience. With the AMP plugin and a modern approach to building themes, WordPress-powered publishers are able to leverage the performance and ecosystem advantages to be gained from using AMP. There is still quite a bit of work to be done. These are very exciting times to be a web developer, and also a WordPress developer! We are certainly excited as we continue advancing towards our goals and unlock the even greater potential of the WordPress platform. And remember: everything we are working on is open source, including AMP! All the work described in this post is the result of a great collaboration between Automattic, XWP, Google, and the WordPress community. Want to help? Join the effort and participate with your contributions, feedback, and engagement!